"I am Pam's daughter and I can vouch for how dedicated she is to everything she does. She has helped my friends and I find homes very quickly that matched the descriptions of our ideal home to the "T". 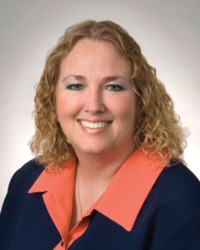 She is honest and straightforward; therefore,http://www.stik.com/p/real+estate/indiana.indianapolis/p/pamhornett she will not waste your time on homes out of your price range, ideal location or amenities. If you are looking for a realtor who is honest and has a lot of motivation, you do not need to look any further." As the world seems be turning twice as fast as it used to, one thing hasn't changed.Character Counts!I know Pam believes that integrity and honesty still matter. I would recommend her to anybody, looking to buy or sell property. Image is who others perceive you are, character is who you are when nobody else is looking! Call Pam today! Where do I start? Pam is the most patient person! No matter how many ( and I seen a lot) of houses I wanted to see before finally making a purchase, Pam was with me all the way. With me a first time home buyer, She guided me step by step on a lot of issues and questions I had. Do I recommend her? You bet !!!!! Hi. I would recommend Pam Hornett to anyone looking for a real estate professional who is always on top of things, is polite and courteous, and knows how to get things done especially when minor setbacks out of her control occur. Pam does a wonderful job of presenting your house to prospective buyers and always keeps you informed on what is going on. Pam sold my house. Thank you. I trusted her to help my Mother find a new house after hers burned down.My Mother was very definite about what she wanted in a house and Pam stuck with her and found that perfect house! Thank you to Pam Hornet for her friendly and expert help in finding the correct contractor to make repairs to my house for future sale. Pam is awesome! She has a great heart and it shows in all she does. Pam really goes the extra mile to find exactly the right property for her clients and always makes their needs her first priority! Great Results, Personable, High Integrity. Pam closed an investment property we purchased a few months ago, she helped us all the way throughout the closing in a professional way.I would do business with Pam again any time. I thoroughly enjoy working with Pam. Her customers love her! She is very knowledgeable and always puts her client's best interest first. She cares and it shows in the professional job she does. Pam stuck with my house in this hard market in a neighborhood with lots of houses that priced less due to foreclosures and we were able to get the sale! It was important since I needed to move out of state. My husband and I showed up at an open house, we weren looking for anything in particular. We walked in a home that Pam was hosting, took a short tour, and ended up buying the house. It's the only one we looked at. Pam was very pleasant to work with and helped make the process painless. Pam has been great as the Selling agent for two of my properties. She has great attention to detail and wonderful communication. I will definitely recommend Pam to any buyers or sellers. Pam is one of those few real estate professionals who look at customer service as the number one sellers point.She has been a great help in the past and I will be using her services in the future. I am certain Pam will meet your expectations and be of great service to you. when I go to buy my new home and sell my old house, Pam is the right Agent for me, Hands down! Pam is the only agent who represents me to the fullest, do not underestimate her ability to secure you the best deal. I love this woman! Pam is always there when you need her and with a smile on her face! Pam is a can do person, she succeeds at any task at hand. She is knowledgeable and has her client best interest at heart, Thanks Pam for all you do!!!! Pam is a very professional and dedicated agent who doesn't mind doing her best to do what ever it takes to meet the needs of her client. Pam is trustworthy and loyal. Knows Indianapolis and surrounding area well. I am Sure She Can Find Your Dream Home. Pam is hard working, knowledgeable, a good listener, efficient, professional, and tenacious in negotiation.I cannot say enough!Pam is a wise choice, Tucker should feel honored to have her representing them. Pam is the best at finding out just what her clients need and getting it for them. She is an awesome agent. Pam is dedicated and will do her very best to help you find the home youre looking for. Pam is a dedicated professional that always puts her customers first. "Pam provides a high level of honesty and professionalism that are very valuable when looking for a real estate partner to help with buying a house."